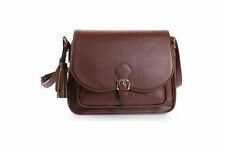 Belt loop, handle, Adjustable neck strap with shoulder pad, strap length: shortest 60cm (2Ft) Longest 110 cm (3.6 ft). Close by zipping. 120mm 90mm 80mm. 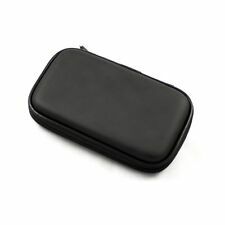 The thick padded case, lightweight, and waterproof. Waterproof Dustproof Medium IP67 Rated Hard Protective Camera Case + Cubed Foam! 5 out of 5 stars - Waterproof Dustproof Medium IP67 Rated Hard Protective Camera Case + Cubed Foam! 4 product ratings4 product ratings - Waterproof Dustproof Medium IP67 Rated Hard Protective Camera Case + Cubed Foam! Expands to fit any lens and can be easily squeezed when not in use. The lens protector takes up very little space and can even be stowed in your trouser pocket. 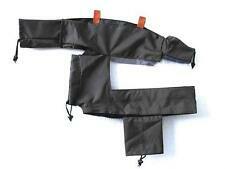 Its rubber-based structure allows it to stretch and compress without letting it out. While some Canon cameras come complete with a case or bag, protecting your precious cameras properly from the weather, as well as knocks and scrapes, usually means purchasing something more substantial. 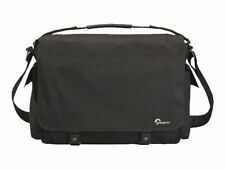 Some people simply need a pouch or belt case to slip their pocket Canon camera into. 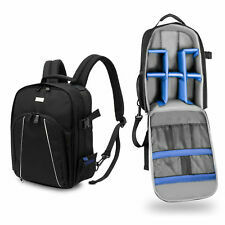 Others with more equipment to carry may choose shoulder bags, dedicated rucksacks and even hard cases designed to carry photographic equipment safely in an aeroplane hold. For smaller cameras, the type of pouch case that clips onto a belt is very useful. 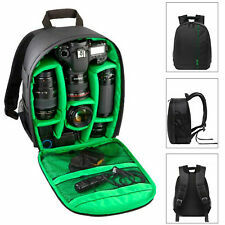 It allows you to carry your camera hands-free, but also have your camera ready to use in moments. 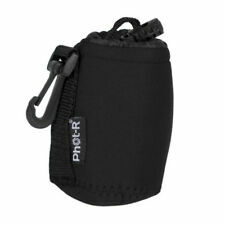 These pouches usually have enough spare space to carry extra SD cards for more pictures, as well as a spare battery. They are also normally padded to protect your camera against any small knocks or bumps. Users of the Canon DSLR range often like to have more than one lens with them, as well as carry extra batteries and perhaps some filters. A shoulder bag is a convenient way to do all this and the extra pockets come in handy for maps, guide books and other odds and ends when on a day's shoot. From simple plastic styles to glamorous examples in leather, a camera shoulder bag can also be something of a fashion accessory too. 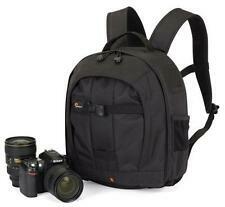 For photographers on the go with lots of equipment to carry, a dedicated camera rucksack is an excellent choice. 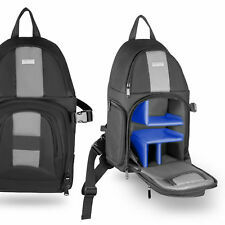 The padded straps help ease the strain of carrying so much weight, while the rucksack's padded internal compartments can be configured to take and hold each piece of equipment snugly without letting them rub against each other. Most dedicated camera rucksacks are water resistant and have straps on the outside to secure tripods. They also have mesh and zip pockets to hold loose items that may need to be quickly accessed, such as water bottles, spare memory cards and batteries. Looking a little like suitcases, camera roller bags have wheels and a handle to pull them along with. Inside they feature the same style of adaptable padded compartments as a rucksack, as well as often an outside pocket for a laptop. 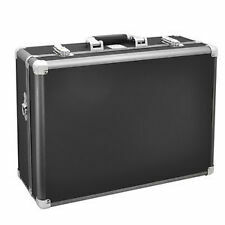 Great for travelling and stowing equipment in a plane hold as they can withstand very rough treatment and are also lockable, camera hard cases come with solid foam inside which the user then cuts to precisely fit each individual piece of equipment.